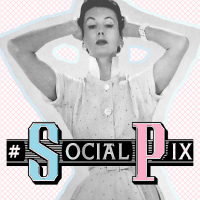 Labels: #socialpix, boat, canel, media, photos. Very nice... have always harboured a dream to live on a houseboat. Reminds me of when I lived in London and I used to run along the canal. Where is this? Gorgeous! I love the canal. My MIL has a boat and we spent a week on it last summer. So pretty, I love bike riding along canals, so peaceful. Great picture. What a life, living on the canal. Love walking down the canal and imagining what it'd be like to live on one.